Ready to go Targeting……as usual! Love the site and I’d love to win! Well this is like the neatest gift card ever! Plus, I love Target, so an extra $50 would be pretty awesome. I hope I win this gift card!! Best thing ever, Totally Target, u rock! I would love to win this, it would be a much needed positive thing this weekend. Thank you Totally Target for another great giveaway!!! Like you on facebook!! Hope to win! Love to get this cute card !! Perfect card to get me in the mood for Summer!!!!! Thank-you for the chance! My daugher loves bubbles! 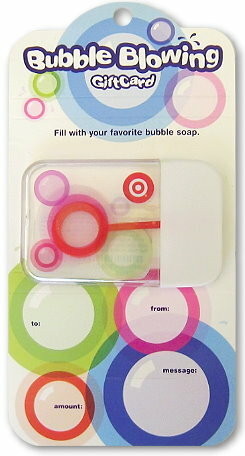 Pick me, pick me, lol … I love Target, it’s my favorite place to shop! Love Totally Target on Facebook. Oh my word – what an awesome card!!! Thanks for all you do! So cute! That would be loads of fun. I would love to win! And I absolutely love your website! I like Totaly Target on fb.